As a fan of epic fiction throughout his childhood and by researching the Bible and other religious documents, Tanner brought to life this original story of good versus evil. It is his take on how Heaven was corrupted. Tanner grew up as an avid reader of the Bible, Tolkien, Homer, Milton, and Dante all of which which helped shape this story. WAR OF WINGS, the first book in the series, is set to be released on March 21st, 2014 after years of extensive research of the Bible and other religious documents and over four years of writing and editing. A fan first and foremost, McElroy's expertise has continued to grow. He has devoted considerable time, energy, and resources to writing a book that tells the remarkable story of Gabriel, Michael, Lucifer, and Arrayah the virtue angel. 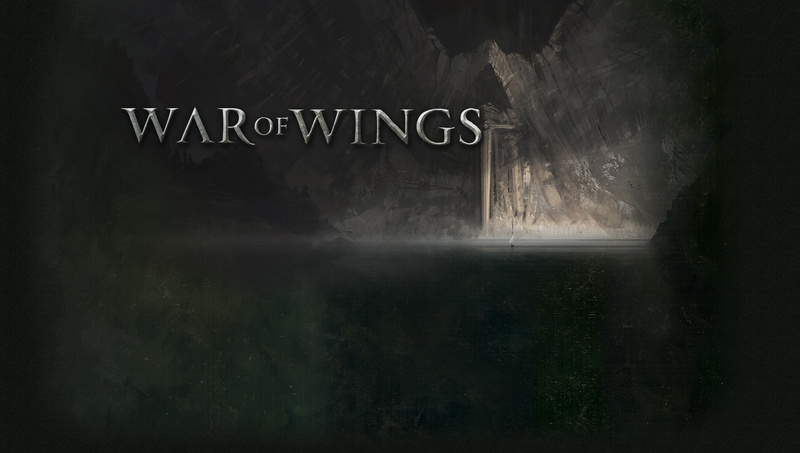 War of Wings is fiction and there are artistic choices that McElroy made in order to fill in a story that has very little detail in religious documents. Tanner McElroy was raised in Dallas, Texas in Lake Highlands. While gaining the knowledge from the Bible from his mother and learning a deep love of epic stories from his father, he was able to combine the two in War of Wings. McElroy attended Texas Tech University on an academic scholarship and joined the Red Raider's baseball team as a freshman. He received two degrees from a double major and Male Student-Athlete of the Year in 2005. He was also a member of the Sigma Chi Fraternity and received Big 12 honors with the Texas Tech baseball team. As a pitcher, Tanner remains among the all-time leaders for the Red Raiders. After college baseball he signed with the Texas Rangers Organization to play professionally. With the long bus trips and hotel stays, Tanner was able to use much of his time to pursue his passion of writing. He wrote many short stories, treatments, and began screenplays on these journeys. In 2006, McElroy moved to California where he was able to take more classes for writing and theatre at the renowned Howard Fine Studio in Los Angeles. It was at this studio where he learned how to add depth to characters realizing that "everyone justifies their own actions, even serial killers." If this was true then Lucifer himself had to believe he was right or he would have never challenged God before the war in Heaven according to McElroy. By studying acting and writing he understood every character has his/her own objective in every scene and the only way to write effectively is to know exactly what those objectives are for each character. He is now a member of Romance Writer's of America and the Texas Writer's League. McElroy has worked with a talented team. His editors included Natalie Shaw Revell, the CEO of Crystal Frog Marketing, Genevieve Van de Merghel Ph. D., who works closely with Adducent, Inc., Tim Boswell Ph. D., and Janet Harris Ph. D., editor of Brown Books Publishing and teacher at SMU in Dallas. He has also worked closely with renowned concept artist of Montpellier, France, Bastien Grivet, who has done projects for many films and video games and The Old State House of Design and Marketing in order to come up with concepts, images, maps, and cover art. His brother, Travis McElroy, has been paramount in the process all the way from implementation to production.